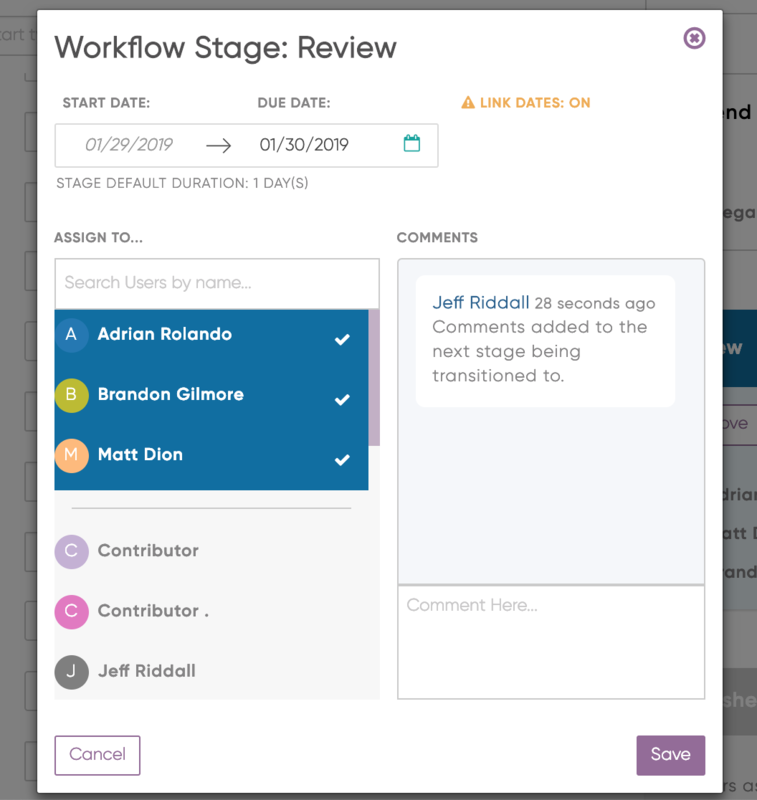 Workflow stages help you stay on track on a calendar item or project. They appear on the right of the creative brief, and indicate the stages required to complete a calendar item, as well as their due dates. The dates of each stage will appear on the calendar. Each stage can have assignees (this can be set up automatically under settings). 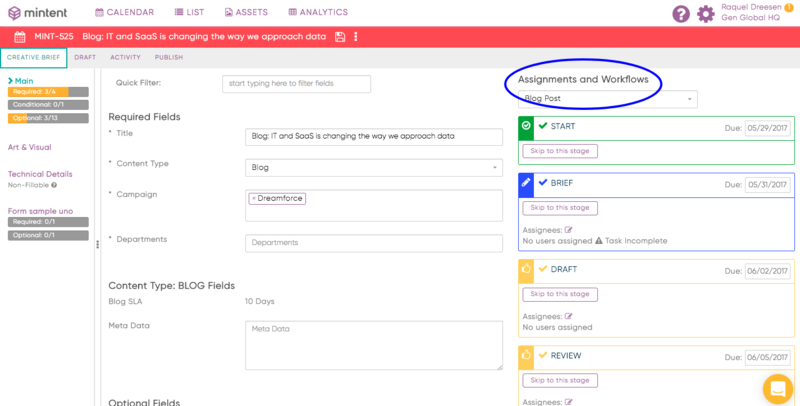 After you have created a calendar item, you can jump back into the calendar item to edit the workflow stages. 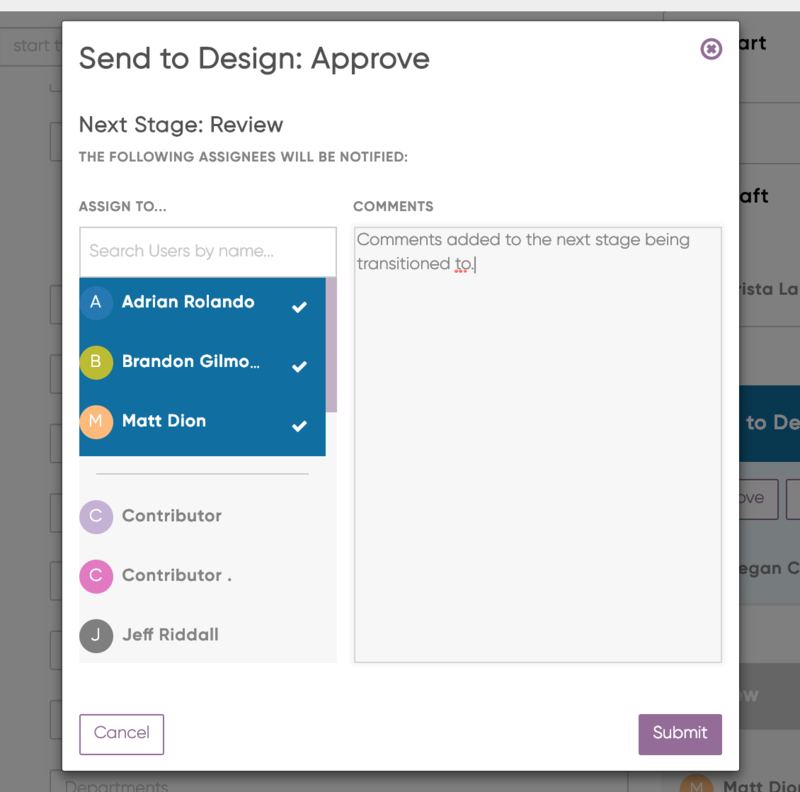 You can choose the type of workflow to use, and then assign team members and due dates for each stage. A matching coloured arrow will indicate the current stage an item is on. 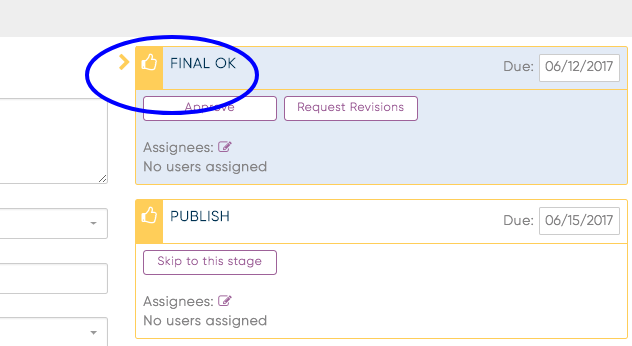 When a stage is approved, you can add or remove assignees in the next stage, as well notify them of any comments regarding the previous stage or those they may require to complete their stage. These will appear as part of the threaded conversation when editing the next stage and saved to the Comments section in Mintent. You will also have an opportunity when editing a Stage to adjust the Due Date and further change assignees, as needed. Note: Each comment will reference the stage it is associated with. You can skip stages, which will not mark the stage complete, but bypass it. This can be helpful for those ad-hoc moments when a particular stage is not required.